Here’s a look at bravery, the kind it takes to both let go and hold on. You might know Virginia Lee Burton best from Mike Mulligan and His Steam Shovel, but I hope you also remember this small home. 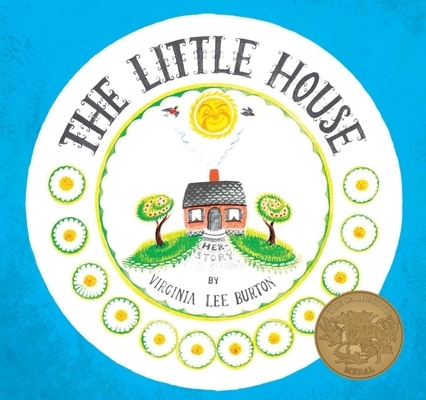 The Little House won the Caldecott Medal in 1943, an award given each year to the most distinguished picture book for children. Caldecott Medal-winning books have long legacies, but even without that shiny gold seal, I’d bet this one would have stuck in our collective book-loving brains. This Little House lived way out in the country, watching the countryside roll around her and the sun rise every morning. Each day was a little different, and the Little House stayed just the same. She was curious about the faraway city, but she stayed still through the seasons, planted in place. Soon though, that faraway city crept closer with its roads and surveyors and horses and dump trucks and steam rollers. The country was gone, and the Little House was alone in the middle of the city’s madness. She couldn’t tell spring from fall or winter, and her world was busy and confusing. She was alone, and she was lonely. But soon someone recognized her. She was that Little House, their Little House, and she’d held firm to her roots when the weeds wrapped around her. She settled down on a new foundation, on a new little hill, where she could watch the seasons once more. This time, she was alone, but not lonely. Where the Little House dug deep and stood solitary against unwanted changes, so does this Little Tree. But where the Little House had to hold on, this Little Tree has to let go. 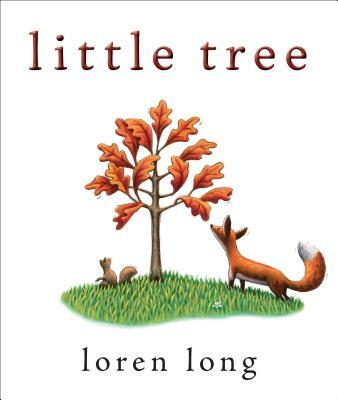 Loren Long’s latest, Little Tree, is a stunning look at the unknown and the courage of letting go. The little tree here is surrounded by other little trees, and they all have little leaves and they all share their branches with playful squirrels and the heat of summer days. Together, all of the leaves on all of the trees blaze red, yellow, and orange, welcoming autumn. But when the other trees begin to drop their leaves, Little Tree doesn’t. He can’t. He won’t. What will he do without them? The seasons don’t stop coming, and when autumn returns again, Little Tree’s brown and crisp leaves still hold tight. The other little trees become big, strong trees, towering over Little Tree’s trepidation. It takes a while for him to store up the guts, seasons and seasons and time. But soon, he lets go. For the first time, Little Tree feels the icy blow of winter through his branches. But soon, in the place where he belonged, in the place he’d always been, Little Tree’s roots run deep and he stands tall. A beautiful thing about this pair of stories is their shared life cycles, their changes through the seasons. If you peek at the back cover of Little Tree and the front of The Little House, both are framed by that same full circle. Bravery doesn’t have an end. Purchase The Little House and Little Tree for your reader or readers.